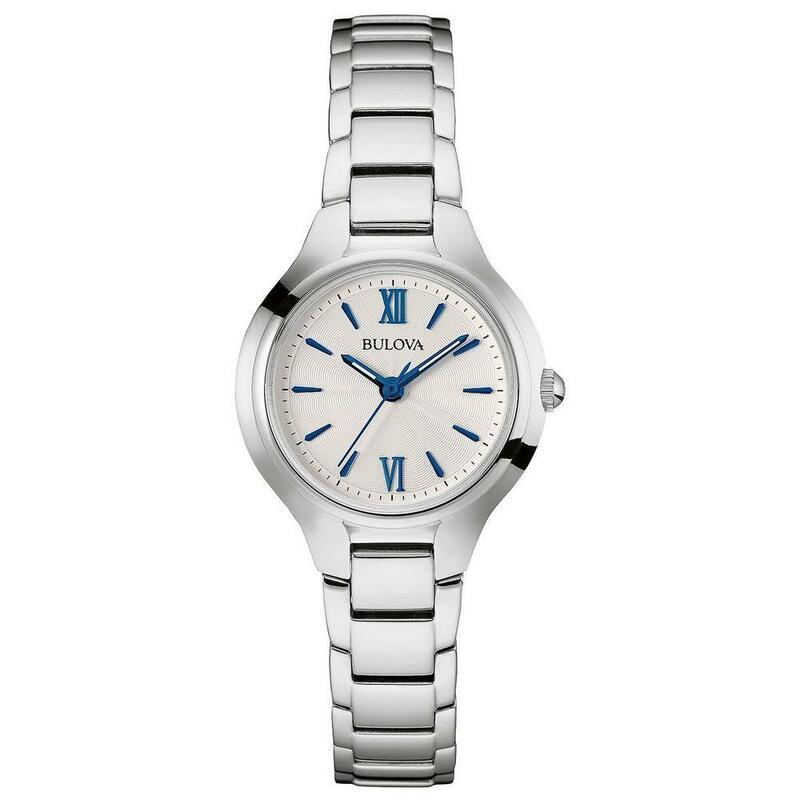 Ladies Seiko Solar Strap Watch with White Dial (Model: SUT252) Timeless yet functional, this womens Seiko Solar watch is an attractive everyday choice. 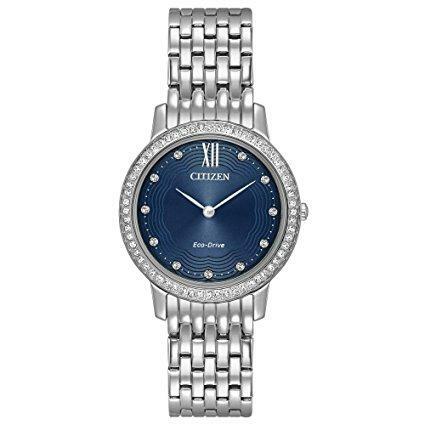 Crafted in two-toned stainless steel, this quality timepiece features a round white dial with gold-toned hands and markers, date display and sweep second hand. Seikos Solar watch takes its energy from any light source and stores it in a self-recharging battery, which never needs to be changed. 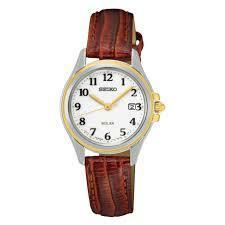 The brown leather strap secures with a buckle clasp. 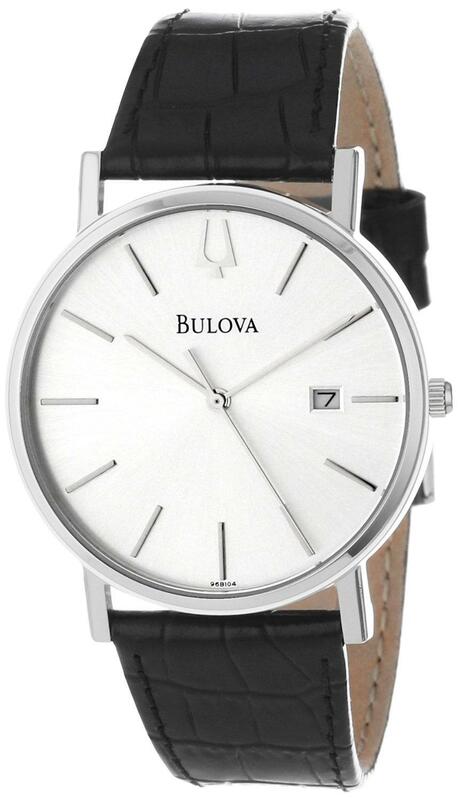 Water-resistant to 30 metres, this quality wristwatch includes a three-year limited manufacturers warranty.